Sorry, this title cannot be purchased with any coupons or special discounts. 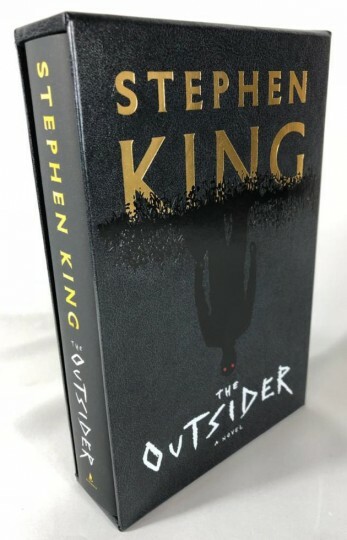 Even though The Institute by Stephen King is being published by another publisher, we will be producing one of our popular custom-made slipcases for this title like we have for several other New York Times bestselling books in recent years. Don't know what a slipcase is? That's okay! See the photo below of an example of a previous slipcase we've made. We're using the same high-quality materials we have used for our previous cases and these will be stamped with TWO color hot foil stamping. The company who makes these for us is the best in the business and you won't find a better way to protect your investment! We're selling these special slipcases for just $29.95, making them an extremely affordable way to protect your book. These cases will be produced after the book is published because we need a real copy of the book to get the sizing just right and this process usually takes approximately twelve to fourteen weeks. We think our collectors will be very pleased with what we have in mind for these very special cases, so don't wait to place your order! We will add a "mock up" of what the book and slipcase may look like to this page once we see the cover artwork, but colors and features are subject to change since we cannot finalize any details until the book is published and we confirm all of the details. Please Note: the slipcase does NOT include the book. You can order the book separately on our product page for The Institute by Stephen King.